What I love about the music that is covered on Ambient Visions is the diversity of what comes in to my PO Box and how great some of the music turns out to be. Though the name of the site has the word ambient in it I like to think that AV is open to many other types of instrumental music as well. Mark Dwane’s CD 2012 is one of those albums that I liked from the first and have grown fonder of with repeated listenings as each time through the songs show me different aspects of the music or of the atmospheres that Mark was able to create with this release. 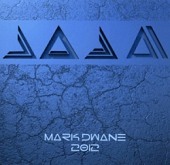 Mark is a fellow Ohioan who has been making music since 1988 on guitar and midi-synths ever since. This project was composed, performed and produced by Mark so his touch can be felt throughout the music and that touch shows a skillful hand indeed. One of my favorite songs on the CD is Codex (track 6) which begins with a simple repeated sequence and the sound of rain in the background. It builds ever so slowly and adds other instrumentation to augment the very basic pattern that has been repeating to this point. The synth is added to give it a smoother feel and then a more direct keyboard sound that still does not overpower the other elements of the song but rather joins them in creating a more complex palette of sounds to hold the listener’s attention. Mark does not stop there with this song as about at the 4:30 point in the song drums are added to bring the song up to another level entirely. Mark never lets the drums overpower the basic vision of the song but rather lets them act to tie the entire song together with a more vivid feel that offers a climatic point to the music before drifting back down to the basic rhythm again and ending with just the repeating sequence and the rain. This song is very well done and it shows all too clearly that Mark is able to craft music that is effectively able to harmonize the dramatic and the subtle elements of his music into single compositions with great effect. That is not to say that all of Mark’s music will be as subtle as Codex because another of my favorite tracks on this CD is Skywatchers which is the second song on 2012. This song jumps right out at you with a very catchy rhythm right from the start. From there it very quickly escalates into synths, an acoustic guitar and finally into a soaring electric guitar solo that rises above the other instrumentations to take the spotlight. This song is another great piece of work by Mark and really shows off his capable guitar playing and his production expertise as he weaves the instrumentation into an impressive final mix. As you may have guessed by the description many times Mark’s music has more of a prog-rock feel to it than an ambient vibe. This is not a bad thing but a good thing. There are ambient and space elements in Mark’s music below the surface or even a little more obvious than that but there are also very dramatic elements of prog-rock as well. 2012 consists of 7 songs that are all varying degrees of those elements. The Sacred Tree is a little more laid back with an acoustic guitar guiding you through the landscape along with some voices and processed bird sounds that are interspersed in the music to embellish the mellow feelings that the song generates in the listener. This song has a steady rhythm but nothing that really dominates the song. It is simply there to act as the canvas upon which the other elements of the song are painted on by Mark. Overall 2012 is a very enjoyable album and each song is an accomplishment in and of itself but when brought together into a single CD it takes the listener on a conceptual journey through the landscapes that Mark has skillfully created on this project. His storytelling is filled with elements that run the gamut from gentle and comforting to pulsing and soaring. There is an ebb and flow to the music that washes over the listener with dramatic elements and then eases back to more relaxing elements that caress and soothe the listener on their journey. I found that repeated listenings only enhanced how I felt about the music and added to my enjoyment of what Mark had created on 2012. With this release the listener will find a great CD filled with thoughtful, progressive and textured songs that will be sure to please anyone with a taste for music that showcases such a wide range of qualities. AV recommended CD. Having been familiar with many of the Hypnos label releases and expecting something similar on this release I was not prepared for what awaited me on this new album from the duo of Dave Fulton and Giles Reaves on the Hypnos/Binary release entitled The Range. Now granted my surprise was a good surprise but a surprise nonetheless. The music on The Range is not so easy to categorize as it blends many elements from ambient, electronic and progressive rock music all into one presentation that works quite well. This CD has been on the drawing boards for about 4 years now with work being done via the internet since Dave and Giles physically had some distance between them which necessitated a slower pace than what would have been possible had they been physically a little closer to one another. Add to that the fact that there were things going on in each of their lives that brought further delays to the project and it becomes readily apparent why it took 4 years to get this project finished. As I listened to this CD the fact that it took 4 years to complete was not evident on any of the tracks but instead the music seemed as cohesive and fresh as if these two artists had started this effort last month instead of 4 years ago. The CD is broken down into 4 parts according to the listing of the tracks on the CD case. Part 1 is entitled Somedays Go On Forever and has one song in this part. Part 2 is called The First Day and contains 3 songs. Part 3 is called A Question of….. and contains 3 songs as well. Part 4 is called The Long Walk Away and closes out the CD with another 3 songs giving this CD a total of 10 tracks clocking in at 60 minutes. Musically the sections seem to have themes that are brought out byFulton and Reaves as the listener is moved through this CD. What starts out in the opening parts of this CD as energetic and aggressive moves into a more brooding and melancholic mood by the time the CD hits part 3 and the track Enduring Time. The drums on this track are great and really go well with the mood that is being created by this time in the flow of the CD. This slower introspective flavor finishes out the CD with the last song, The Walk, creating a very floating kind of atmosphere with some nice synths providing the focus of the piece and with some other interesting sound effects and drums bringing the piece together and closing out the CD. The CD opens in a similar way as to the way it closes with track 1 Endless Range and Time starting out by means of a few simple piano notes echoing on the landscape along with a small number of electronic effects and finally ending up with an electronic keyboard taking over while the piano still floats above the entire piece in what seems like a loop that keeps it suspended up there. This goes on right up to the point that the whole thing reaches a crescendo that shifts the song into part 2 track 2 called Fascination where the music steps into a progressive rock type piece with various great keyboard pieces and features some first-rate drumming as well. All of this acts to keep the piece moving ahead and adds to the stimulating feel of the song. I must admit that this is one of my favorite songs from this CD and the more that I listen to it the more I appreciate the complexities of all that is going on here. 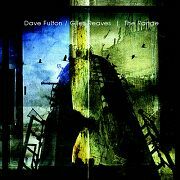 Fulton and Reaves are able to move easily from the atmospheric pieces that dot the landscape back into the more energetic sections which allows them to dramatically change the aural soundscapes that surround and captivate their listeners. As in the movement from track 3 which definitely falls into the space style of mucic to track 4 that finds the end of the song Blinded by Time picking up a slight sequenced rhythm that immediately takes the song into a rhythmic beat that becomes the centerpiece of the next song entitled Troubled Skies. This track is another favorite song from this CD that I could listen to over and over again without ever getting tired of the picture that it paints. The marvelous guitar part on this track is perfectly placed in the mix on this cut and allows it to be a balanced part of the song without cutting into the focus of the sequenced beat that is the heart of this song. Again it is a testament to their abilities to pull this kind of integration off and do it over a 4 year period and having to work at a distance from one another. The music on The Range is a dense soundscape that demands focused attention from the listener but will reward them greatly when they dig deeply into this refreshing world thatFulton and Reaves have created here. The CD consistently features some great textures that are interwoven into the very fabric of this project through the use of great production values and skillful hands on the mixing board. The music as times is dark and forboding as on track 6 which is called Being Within the Range but it does not leave you there but rather it keeps the listener moving ahead on this sonic journey. The overall feeling of this CD is one of exploration and Fulton and Reaves have done a great job of creating the intricate soundscape that is to be where the listener will spend the next 60 minutes and return again often so as to keep finding the nooks and crannies that were missed the first time through. An excellent effort from Dave Fulton and Giles Reaves and it will be interesting to see if they decide to do another one of these projects somewhere in the future. Perhaps in another 4 years maybe? AV recommended CD. Although Canada’s Stephan Moccio has been writing songs for a very impressive list of superstars for years, “Exposure” is his debut as a solo artist. Moccio’s passionate and evocative composing and playing styles are accessible and easy to understand, but deepen and reveal new things with each listen. I fully expect “Exposure” to be on my favorite CDs list for the year. The twenty-two original piano solos came from a desire to capture a snapshot of the composer’s life so far, and Moccio says he “needed to return to the simplicity of the instrument I know best.” Lucky us, as listeners! I listen to a LOT of piano CDs, and this one has captivated me. The accompanying booklet with photos and brief poems about each piece makes this a most impressive package. Moccio’s music is very classical at times and more ambient at others, combining his classical and pop music backgrounds to appeal to a broad audience while keeping his unique musical voice. I loved “Exposure” the first time I heard it, and seems to get even better the more I listen to it. “Exposure” begins with “October,” a piece about passion, enlightenment, and the rebirth of direction. Flowing and dreamy, this is a gorgeous way for Moccio to introduce himself. (A video of Moccio playing “October” is available for viewing on MySpace and YouTube.) One of my favorite tracks is “Ow,” an almost wrenching piece about pain and sadness. The emotional power conveyed with a minimum number of notes is stunning. “Ow” segues into “Zephyr,” which brings us out of despair with a feeling of hope. “Porcelain” is delicate and fragile, referring to the innocence of a mother and child sleeping face to face. “Mojo” is another dark, somber bit of soul-searching that flows into “David’s Whisper,” an anthem that lightens the mood considerably. “Nu” is a very poignant piece about feeling alone and misunderstood. Another favorite is “Sirens,” with its bittersweet melody on the right hand and an energetic, flowing rhythm on the left. What a great piece! “Hudson” has a gentle flow, and reflects on life as well as the beauty of the river. “Seven” concludes this outstanding collection with a warm, tender piece about the wonder of birth. 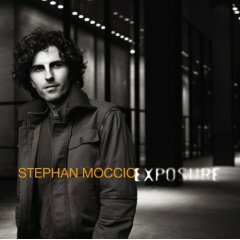 “Exposure” is an auspicious debut by Stephan Moccio, and is hopefully only the beginning of an outstanding career as a solo artist. It is available from www.stephanmoccio.com, amazon.com, barnesandnoble.com, and other retail outlets. I give “Exposure” my highest recommendation! A new album has been a long time coming from Norwegian musician Erik Wollo. His last work, Blue Sky, Red Guitars, dating back to 2004 is the only one I was familiar with until now. In comparison to its predecessor Elevations has been created by both synthesisers and guitars, the textures are more synthetic yet also incredibly evocative at the same time. The album and track titles suggest that Erik has a great appreciation for the natural world and this comes out in the emotional resonance felt throughout. The slowly developing track “Elevation” provides a peaceful introduction to the album. It begins with synthetic noises that drop into the soundscape and then echo off as though we're inside a partial cavern. Strange quivering noises like distorted bird sound flit about the backdrop while a rocking effect comes in with walking guitar notes and brief passages of eerie high pitched effects. I can only describe the track “The Wanderer” as superb. Cold gossamer washes and subtly resonant drones start the piece off before layered percussion and soul tugging melodies come in to fill out the soundscape. Part way through a melody like stretched silvery curtains reaches a poignant crescendo. For me this track created a vision of an epic and lonely journey by a person inspired by stark yet beautiful scenery. Acting as a kind of interlude is “Sphere – Into the Dream” where gaseous washes rise and fall as imagined waves, while a slow tempo rhythm of shiny notes and synth refrains convey a feeling of understated wonder or majesty. The lasting impression that Elevations made on me is of unexpected serenity. Despite the lively spirit of some tracks, overall it seems infused with a sense of peace and communion with the physical world. Indeed, it only took a few minutes of the first track to get me entranced by the atmospheric beauty of the music. Gorgeous sonic textures, graceful rhythms and melodies, plus top notch production make this essential listening for ambient and EM fans alike. 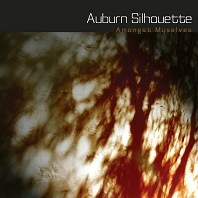 Auburn Silhouette is the fourth album by Australian artist Amongst Myselves. Steve Roberts, the man behind the recording name, is a film maker and sound producer by trade so it's only fitting that this release includes a DVD containing three short films set to his music. The natural environment is the theme of this album, with Steve's inspiration coming from the South Australian outback and journeys overseas. The album is primarily ambient, though there's also drone, shoegazer, experimental, and even a bit of soft rock! Opening the album is my favourite piece “Greybox Shadow” in which drones flow easily like leaves of a tree gracefully shifting in a light breeze. Adding to the natural feel is birdsong at the beginning which made me imagine opening curtains in the morning to see the world waking up for a new day. Gradually the mood becomes more intense and heavier as the drones become deeper and hybrid “ahhh” vocals/drones layer the atmosphere further. In “Hole in the Sky” the manner of the music changes noticeably into shoegazer territory. Grey and silvery washes ebb and flow with the regular yet subtly different lapping of waves on a beach. Then a slow unobtrusive drum rhythm starts up along with cymbal percussion and aching electric guitar notes that are plucked only to stretch off into the distance. Sometimes other elements add to the atmosphere, as in “Southern Lights” where tribal drum rhythms beat out against delicate drones and washes gliding over the soundscape like the the ethereal ribbons of colour in the Southern Lights themselves. A fascinating aspect of several tracks is how electronically created drones feel organic and natural. This is sky music, as ever evolving and hard to pin down as the sky itself where clouds, sunlight, and stars paint shifting pictures and moods. Also, there's a good contrast of earthbound and cosmic experiences and journeys on Auburn Silhouette which I found to be a work that needs deep immersive listening sessions to appreciate fully; and headphones will doubtless bring out even more of the sonic nuances. It's a work that takes ambient impressions of the natural world to a new level. The accompanying DVD contains three films, each set to music from the track of the same name. There's stunning day and night time-lapse photography in “Up Into the Air and Over Edge”; pictures of nebula, stars, galaxies etc in “Southern Lights”; and “Star” has some computer generated images. This DVD is a wonderful adjunct to the CD.